Daddy Yankee the "King of Reggaeton" is the famous rapper and singer is the one who coined the world 'Reggaeton' in 1994. It means the music genre emerging from Puerto Rico. The 'Gasolina' star has grabbed huge fan followers with his unique singing genre. Daddy Yankee the "King of Reggaeton" is the famous rapper and singer who coined the world 'Reggaeton' in 1994. It means the music genre emerging from Puerto Rico. The 'Gasolina' star has grabbed huge fan followers with his unique singing genre. Apart from his acclaimed musical career, he is living a blissful married life with his high school sweetheart Mireddys Gonzalez. He hasn't ever spoken a word about his wife except in few interviews. The father-of-three just celebrated 23 years of wedding anniversary with his lovely wife in March 2018. Though the couple has few things to share in public, let's get some of their personal details in today's session. Yankee and his high school sweetheart Mireddys Gonzalez are ultra private about their personal affair. So it was quite an unexpected move that the "Dura" singer celebrated 23 years of love with his wife with a sweet Instagram post back in March 2018. He often calls her his "female boss". The post appears to be in a private jet filled with balloons and beautiful flowers for his soulmate. "Because a jefe (male boss) need a good jefa (female boss)." "With God’s blessing, anniversary #23." No doubt, their fans adore the beautiful couple and congratulate for their long years of togetherness. The couple who tied the knot in 1994 has a son Jeremy Ayala Gonzalez, 21 and a daughter Jeremy Ayala Gonzalez, 19. He also has a daughter named Yamlet Ayala Gonzalez, 24 from his past relationship.
" ‘Thank you my love, 23 and counting. Love you. Who says it’s not possible? #Celebrating #Anniversary23 #LoveYou #GodisGood." Gonzalez has always been with her sweet and loving husband ever since he was first starting out in the music industry. "Mireddys is the one that has been with me since zero and deserves the best from me. She was there in those moments that nobody believed in me. She found me for who I was my essence." The 41-year-old barely posts images of his wife as he tends to keep his family life far from the media and fans. 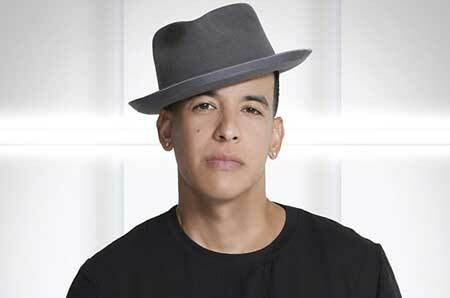 Daddy Yankee: Widely Known As The "King of Reggaeton"
Daddy Yankee is widely popular across the globe as a singer, songwriter, and rapper but he was interested to be a professional baseball player at first. Before he officially signed for the Seattle Mariners of Major League Baseball, he was hit by a stray round from an AK-47 rifle. He spent one and a half years recovering from the wound. Siempre en la positiva mijo! Well, the accident was the main cause that made him solely focus on the musical career. His famous single "Gasolina" released in 2004 introduced 'Reggaeton' to the fans worldwide. As per the New York Times, he is considered the "King Of Reggaeton" by fans and music critics worldwide. His single Despacito became the first Spanish-language song to peak at number 1 on the Billboard Hot 100. As of 2017, he has received a total of 5 Latin Grammy Awards, 14 Billboard Latin Music Awards, 2 Billboard Music Awards, and 2 Latin American Music Awards. In 2009, he was named the "Most Influential Hispanic Artist" by CNN and included in Time 100 in 2006. Born on 3 February 1977 in San Juan, Puerto Rico. He credited the incident to be responsible for him to be solely interested in the music career. He was declared the "Most Influential Hispanic Artist" by CNN in 2009. In 2017, he collaborated with Latin pop singer Luis Fonsi and released the hit single "Despacito". As per the Celebrity net worth, he has an estimated net worth of about $30 million but it is about $15 million as per the Richest. As of December 2018, he has 23.9 million followers on Instagram.